As the Court said, this passage ‘neatly summarises’ the position: but, beyond the neatness of summarization, does it correctly capture the constitutional position? This piece will not focus on Parliament’s legislative supremacy, except to say that the full extent of that supremacy is a matter of debate. As Sir Stephen Sedley has shown, in Lions under the Throne: Essays on the History of English Public Law, even AV Dicey came in the end to change his mind about Parliament’s omnipotence (p 269–70). In Moohan the Supreme Court would not exclude the possibility that, were Parliament to purport to pass an outrageous statute, ‘the common law, informed by principles of democracy and the rule of law and international norms, would be able to declare such legislation unlawful’ (para 35). Lord Neuberger recently referred to ‘the interesting point whether the judiciary could override an outrageous statute’ (para 10). Interesting points and questions abound in this field. The corollary of the instability of Parliament’s legislative supremacy might be thought to be the instability of what the Supreme Court called ‘the dualist system’, the focus of this piece. For the question of whether treaties have no effect within domestic law without the sanction of Parliament is also a matter of debate. Thus, in Nzolameso, the Supreme Court referred to what it termed the ‘interesting question’ of whether certain unincorporated treaty obligations could have effect in domestic law without Parliamentary sanction; but ‘[t]hat must be a question for another day’ (para 29). As we wait for that day, when the question will no doubt be dealt with foursquare and on the basis of full argument, it is not idle today to ask where English law actually stands in this regard. In modern times the point of departure is usually taken in Tin Council (relied on in Miller), where Lord Oliver, in a sweeping dictum, observed famously that, ‘[q]uite simply, a treaty is not part of English law unless and until it has been incorporated into the law by legislation’ ( 2 AC 418, 500). This statement, too, has been thought neatly to summarize the position: but is it actually correct? According to Dicey’s Introduction to the Study of the Constitution (8th edn, 1915), the other academic work cited by the Supreme Court in Miller, it is ‘open to question whether the treaty-making power of the executive might not in some cases override the law of the land’ (p 460). Dicey based this statement, entirely correctly, on the leading Victorian era judgment of Sir Robert Phillimore in The Parlement Belge ((1879) 4 PD 129), by turns one of the most celebrated and most misunderstood authorities of English constitutional law. The Parlement Belge has in the modern age been used to shoehorn into the sophisticated apparatus of the Victorian constitutional acquis a doctrine (the Tin Council approach) which is quite alien to it, with a view no doubt to clothe the Tin Council dictum with the respectability of ancient authority. Thus the Privy Council observed in Higgs (also relied on in Miller) that ‘unincorporated treaties cannot change the law of the land’; ‘[t]hey have no effect upon the rights and duties of citizens in common or statute law: see the classic judgment of Sir Robert Phillimore in The Parlement Belge’ ( 2 AC 228, 241). But what, then, did The Parlement Belge actually determine? The case concerned a Belgian mail boat that collided into the vessel of a British subject. 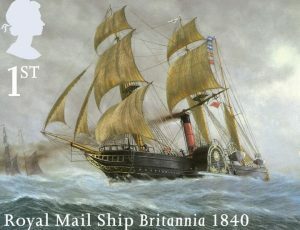 The Crown had, based on an unincorporated postal convention, purported to confer immunity on the Belgian vessel, with the potential effect of depriving the British subject of the right to bring proceedings. the Declaration of Paris in 1856 … which very high authorities in the state and in the law had considered to be of vital importance to it. But this declaration did not affect the private rights of the subject; and the question before me is whether this treaty does affect private rights, and therefore required the sanction of the legislature. … If the Crown had power without the authority of parliament by this treaty to order that the Parlement Belge should be entitled to all the privileges of a ship of war, then the warrant … cannot issue, and the right of the subject, but for this order unquestionable, to recover damages for the injuries done to him by her is extinguished (ibid). The pertinent question was not simply whether the treaty had been incorporated or not; it was ‘whether this treaty does affect private rights, and therefore required the sanction of the legislature’ (ibid; underscored here). Dicey was correct to countenance instances in which the treaty-making power of the executive might ‘override the law of the land’. This approach has the imprimatur of other high constitutional authorities too. One example is the 1728 Opinion by Attorney General Sir Philip Yorke and Solicitor General Sir Charles Talbot (Opinions of Eminent Lawyers Vol II (1858) 339), where the authors explained, in the context of the unincorporated Treaty of American Neutrality, that certain of the treaty’s provisions, which banned certain kinds of trade, could indeed override the law of the land. These provisions were, advised Yorke and Talbot, ‘punctually [to] be observed and put in execution, [so] that no illegal trade be carried on’. But this could not be the case with the provisions that allowed the seizure and confiscation of ships or goods of British subjects for contravening certain of the treaty’s articles. It could not, said Yorke and Talbot, have been the intention that such provisions were to apply without Parliamentary approval. Had that been the case, such an intention ‘could not have had its effect with respect to his majesty’s subjects, unless the said articles had been confirmed’ by legislation (p 342). The Opinion shows that, whereas the provisions thought not to affect the rights of his majesty’s subjects were held to be operative without incorporation, those interfering with rights of personal property of British subjects could not be operative. The latter—and only the latter—would have required legislation. Another example is the judgment of the Privy Council in Imperial Japanese Government ( AC 644), which concerned the unincorporated British–Japanese Treaty of Peace, Friendship, and Commerce, which gave British subjects rights to preferential treatment, through a so-called ‘most favoured nation’ clause. One of the central questions was whether a British subject had a right to require that when a Japanese claimant had a complaint against him the case should be decided not by the local courts of Japan, but by British curial authorities exercising extraterritorial jurisdiction. Thus the Privy Council was seized of the question of whether, by reason of the unincorporated treaty, British subjects enjoyed all the privileges and immunities secured to the United States and Austro-Hungary under a similar US–Japanese and Austro-Hungarian–Japanese treaty, both of which were also, self-evidently, unincorporated as a matter of English law. clear that art. 23 of the treaty of August, 1858, which accorded to Great Britain ‘most favoured nation’ treatment, conferred upon this country and its subjects all the privileges and immunities secured to the United States and Austro-Hungary and their respective subjects, by the treaties to which reference has been made. There cannot, therefore, be any doubt that a British subject has a right to require that when a Japanese has a complaint or grievance against him, it shall be decided, not by the Local Courts of Japan, but by the British authorities exercising in that country extraterritorial jurisdiction (p 654). The basis was the treaty: ‘The defendant has obtained, by virtue of a treaty made with his Sovereign, complete immunity from process in the territorial Courts which would otherwise be open to the plaintiff’ (p 656); ‘[b]ut for the treaty, they would be liable to process in the Courts of Japan’ (p 657). The treaty was not applied by a side-wind: ‘Their Lordships have dwelt at length upon the effect of the treaty provisions, because they regard these as determining the question in controversy between the parties’ (p 658). Imperial Japanese Government seems to constitute a clear example of an unincorporated treaty being operative before the courts; it is suggested that the only reason this was the case was that the treaty did not infringe the existing legal rights of the citizen but rather added to them. Attempts at portraying fashionable ideas of strict dualism as the inheritor to the Victorian acquis of AV Dicey and Sir Robert Phillimore resemble the attempts to force an ungainly foot into Cinderella’s glass slipper, and they are no more successful. On the current of constitutional authority, the question is not simply whether the treaty obligation at issue is incorporated or not; the question the court should ask when the day comes is this—does the obligation effect a change of the law that infringes the existing legal rights of the subject? This post was first published in the UK Constitutional Law Association Blog on 28 April 2017. Dr Bjorge develops this analysis in a paper that will be published in Public Law later in 2017.